Jehuty and high speed robot action is back! Words can’t even describe how happy I was to head over to Gamestop and pick up my copy of Z.O.E HD. It’s been years since I’ve last seen a copy of the game, let alone hear someone talk about it. Soon as I came home, I popped that disk into my PS3 and was soon greeted by the gorgeous new anime opening. Hearing “Beyond the Bounds” filled me with such nostalgic memories; I was definitely in high spirits before actually playing. While time hasn’t treated the original Z.O.E game so well, The 2nd Runner still remains at the top of its game with beautiful visuals and intense battles. Playing through the original definitely sparked some childhood memories but also brought up some issues I’ve never noticed before. 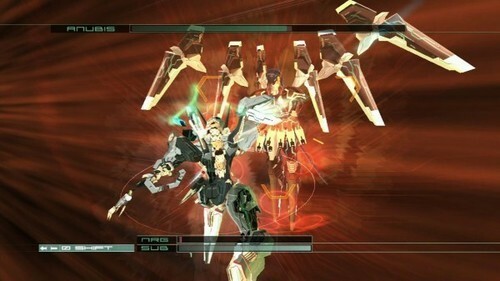 Zone of the Enders is an enjoyable game that features fast paced mecha action but loses power halfway through. Players step into the shoes of Leo Stenbuck, a young boy who accidently discovers an Orbital Frame known as ‘Jehuty’. Using this frame with the help of AI A.D.A, players must fend off the forces of BAHRAM and escape from hostile forces. For the first two hours, I was enjoying every minute piloting Jehuty and reliving the high speed action that caused Z.O.E to stand out. Once you start, players must navigate an overworld and destroy robot enemies in real-time conflicts. By utilizing ranged, melee and Burst attacks, players are given the means to wipeout countless foes. However, I slowly started to see big issues that never occurred to me as a child. There is a lot and I do mean a lot of backtracking involved here. Whether you’re looking for a passcode or program, it doesn’t matter and to make matter worse, the game doesn’t even point you in the right direction. Since there are multiple areas that can be explored, I had to go through each one until I found what was needed. Backtracking in Z.O.E quickly sapped away at my excitement; I often found myself skipping area change cutscenes just to speed up the time. Thanks to the backtracking, the combat also takes a hit as it soon becomes repetitive. Don’t get me wrong, the action is fun but soon becomes marred as all the battles seemingly blend together. Destroying mechs almost became an unwanted chore rather than having a blast. The only time the excitement spikes back up is either during intense boss fights or when players discover new sub-weapons. At least for me anyway; I liked combining different sub-weapons with attacks to see what was more effective. By the end of the game, I looked back at what I just went through and had this melancholy outlook. While I enjoyed the mecha action and those crazy boss battles, I didn’t like all the backtracking and the repetitive nature of the game. However, anyone that has played the series before can tell you The 2nd Runner far surpasses its predecessor. Zone of the Enders: The 2nd Runner is the sequel to the original Z.O.E and greatly improves on the past mistakes. While Zone of the Enders is more like an appetizer, The 2nd Runner is the full course meal with dessert. 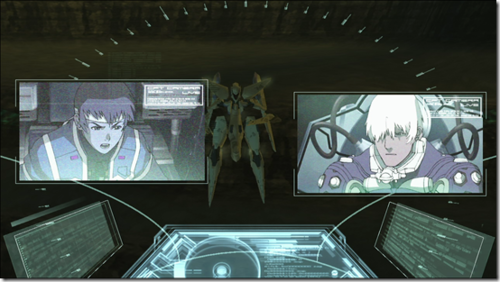 The game is heavily inspired by anime thanks to the anime cutscenes and the intense high speed robot battles. This time around, players take control of Dingo Egret, a miner with a mysterious past that somehow stumbles upon the Orbital Frame ‘Jehuty’. The events that follow force Dingo into piloting Jehuty to Mars and uncovering the truth behind Jehuty and twin frame, Anubis. One of the many improvements is the story and how it is told. Through animated cutscenes, players are treated to a plot that is actually interesting unlike the original. The in-game cutscenes look great thanks to the HD facelift. Despite not having the HD gloss like the in-game cutscenes, the regular animated scenes hold up well against the flow of time. More importantly, combat in The 2nd Runner is the biggest improvement of all. Much like the original game, The 2nd Runner features the same intense mech battles but taken to the next level. Combat feels smooth and efficient as you take to the skies and land, tearing apart any enemy that stands before you. The enemies are a lot tougher in this one and require a bit of thinking before charging in. Certain enemies fall prey to different sub-weapons and methods of attack; meaning that players will have to adjust differently as no one battle turns out the same. From start to finish, my excitement for battle never diminished as it did for the predecessor. Players can even enjoy the versus mode that becomes available and can duke it out with different Orbital Frames like Jehuty, Vic Viper and Anubis. The sad thing about versus mode is how it doesn’t include online play; it would have been nice to play other people across the globe. Instead, I’m reduced to playing against my brother and beating him every time. No wonder he doesn’t like to play games with me. The real issue I had with this title is the short length of the game considering it only took me 4 hours to beat. Other than that, The 2nd Runner is a solid title that should be played by anyone into mecha action. The graphic comparison between the PS2 versions and the HD versions for both games are extremely noticeable. The surrounding environments look great thanks in part to the HD gloss. Sure, you can tell that beneath the HD lies the same PS2 graphics but it’s easily something that can be overlooked. As I mentioned before, the main cutscenes haven’t been given the HD treatment, so expect to see the same quality as if on the PS2 consoles. When I first saw Jehuty in full 1080 60p HD, I felt as if this is how the game was meant to look. 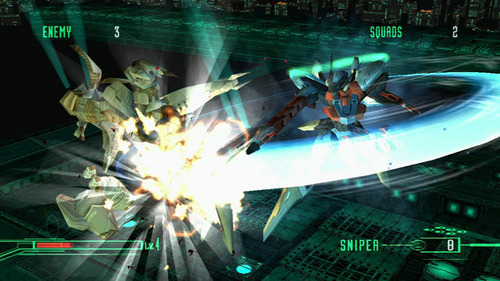 Zone of the Enders HD is a great addition to the vast number of recent HD collections. Considered a sleeper hit when both games were first released, hopefully this second chance can garner more fans and appreciation. With a third sequel in the making, I foresee a bright outlook towards the Zone of the Enders series. Price Verdict: $39.99 is a reasonable price for this collection. Fans of robot action will most likely enjoy this. If you don’t mind having one average game and one really great game, this is for you. Everyone else can wait for the inevitable price cut. We know the fans love the series but what about those of you that are new to the series? Would you give the games a chance or ignore them?